In 2008, the Government of Jamaica declared February as ‘Reggae Month’ to highlight the impact of the musical genre on the country’s social, cultural and economic development as “a month of activity was necessary in order to sharpen the focus and draw the attention of the world to this powerful asset that is wholly Jamaican” (JIS News). See below for a full calendar of this year’s activities – concerts, films, lectures and more. 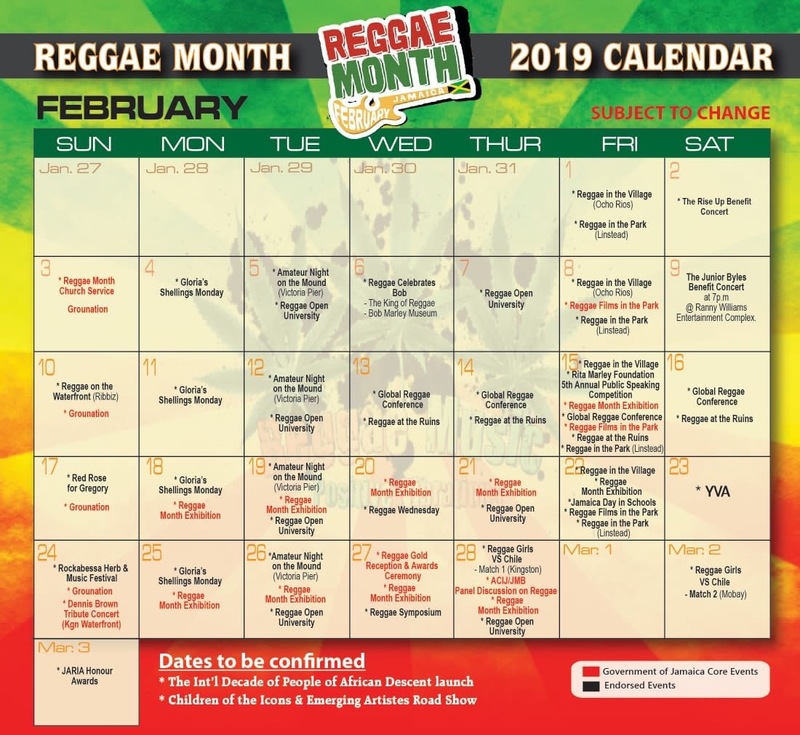 Be sure to check out our extensive section on reggae and reggae month featuring historical facts, artiste profiles, playlists and more.